Belgian Gymnastics: 2017 FIT Challenge: Rune Hermans and Italy dominate the first day of competition! 2017 FIT Challenge: Rune Hermans and Italy dominate the first day of competition! On Saturday, Ghent hosted the first day of competition of the FIT Challenge! 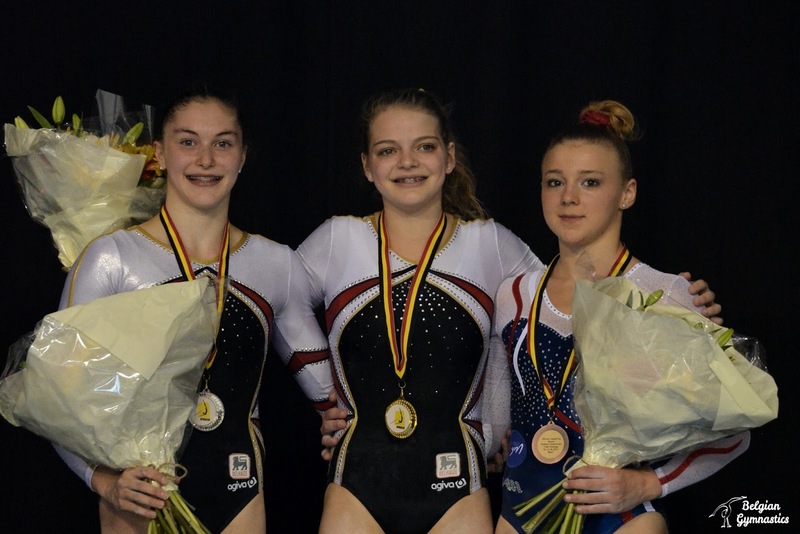 In the Juniors competition, Team Belgium finished in 3rd, while Rune Hermans and Maellyse Brassart took the first two spots in the all-around in the Seniors category. Italy showed once again their power to take the team titles in both category, while the Juniors dominated the all-around to take the three medals. Recap! Let's start with the Juniors. 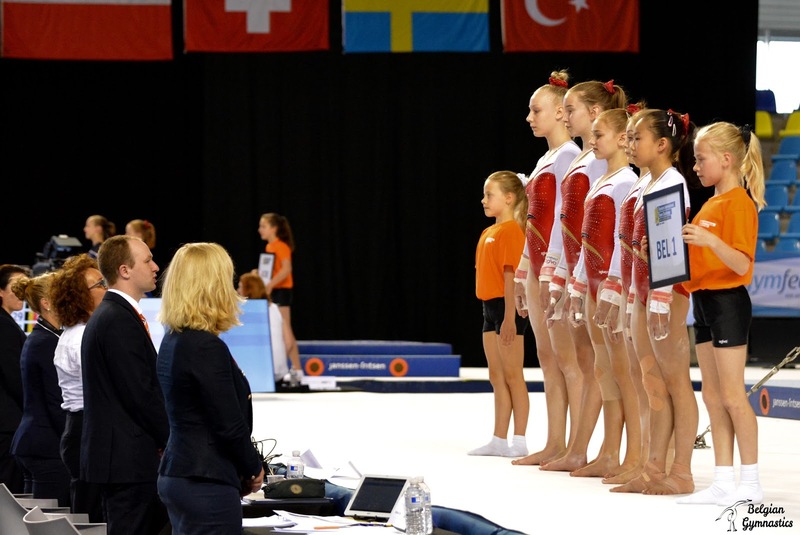 Belgium sended two teams in Ghent, but only one of them would factor in the team competition. 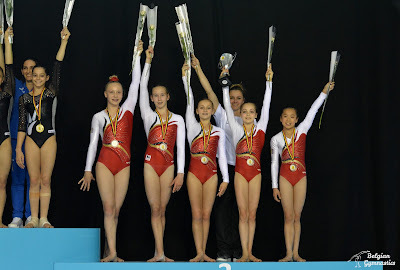 Belgium 1, composed of Julie Vandamme, Kay-Li De Neef, Margo Van Linden, Margaux Daveloose and Cassia Priels took the bronze medal, behind Italy and France. They had their mistakes here and there, and had to count several falls, on both bars and beam, except for Cassia who had the cleanest day. Julie Vandamme, the National Champion, had to count a fall on beam, but still managed to get the best all-around ranking for team Belgium, with a 9th place, just ahead of Margaux Daveloose, in 10th, and Kay-Li De Neef, in 12th. Team Belgium 2, with Fien Vandeberg, Cato Fleurackers and Sophia Kola, only competed as individuals, at least 4 gymnasts were necessary to be able to factor into the team competition. Cato and Sophia had a clean day, while Fien had to count falls on beam. 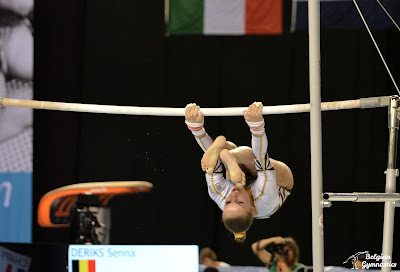 On the Seniors' side, Belgium only competed as individuals, as Nina Derwael, injured, only competed on bars and beam, and Senna Deriks, coming back from a knee injury, only performed on bars. Back to her full level of difficulty, Belgian Champion Rune Hermans once again finished on top, taking the all-around crown after a successfull day. She was consistent and confident, with no major mistakes, her best score coming on vault with a 13.600. It's the second gold medal for Rune Hermans, after the National title two weeks ago, and she's now a strong contender, if not already a lock, to make the Worlds team later this year. Not far behind was Belgium's Maellyse Brassart, who was really consistent yesterday, with strong routines on bars and floor, and a powerful full twisting Yurckengo on vault. She had to count a fall on beam but showed confidence throughout the day to take silver. The first year Senior wins here the second medal of her season, after silver at Nationals. Two weeks ago, Julie Meyers had a rough day at Nationals, but it was a completely different gymnast that we saw in Ghent! She started really well on vault and bars, an event that has always been a bit tricky for her. The huge smile on her face when she landed her dismount showed us how happy she was with her routine. She then fell on beam but finished strong on floor, with an entertaining routine. Nina Derwael, slightly injured on her ankle, only competed on bars and beam, in order to rest. On bars, the European Champion tried a new combination (pak somersault immediately to a toe on Shaposhnikova with half turn) but missed it. She then went a bit too far on one of her handstand and couldn't avoid the fall. She finished with a strong full twisting double back dismount to score 13.166. On beam, she performed a new mount, a roundoff to a layout step out. She looked confident and broke the 13s mark, with 13.166. 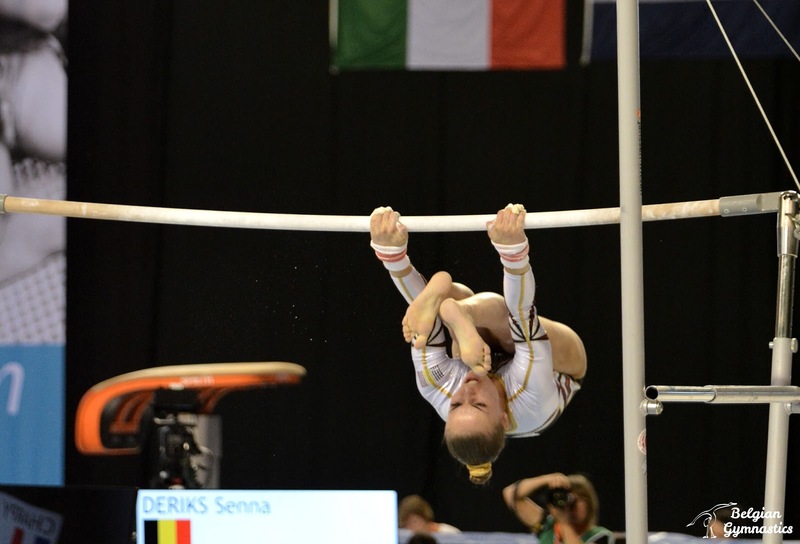 Senna Deriks competed in Ghent for the first time since the beginning of April, when she injured her knee just days before the European Championships. She only competed on bars and she's definitely on her way back. She performed her usual stalders and looked confident on her release. Senna scored 13.800, the best score for Belgium on this event. Today, the team competition will start at 3pm. You can find the start list here.